Above: Facebook Live now supports fullscreen video broadcasts. When Facebook Live launched last year, broadcasts were limited to 2 hours in length, but now that limitation has doubled. The social networking company said that viewers and publishers had requested the ability to livestream longer, and so now it’s possible across both Facebook’s app and the Live API. There’s also an optional control that temporarily will hide reactions and comments during live broadcasts. The idea is that some people may prefer to just simply watch what’s happening without any distractions. To enable this feature, swipe to the right; swipe left to bring comments and reactions back to the broadcast. 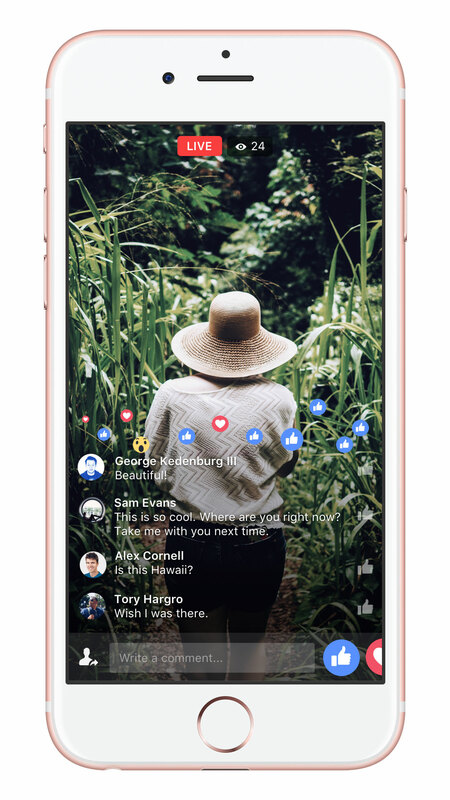 These are just some of the most recent updates that Facebook has made in order to win over the hearts and minds of content creators, especially as the livestreaming competition heats up. The company is battling for attention against Twitter’s Periscope and YouTube. There’s even reports that suggest that it has been paying creators and publishers for using its product, doling out $2.2 million as payment to “encourage experimentation,” according to Facebook’s vice president of global operations and media partnerships Justin Osofsky.